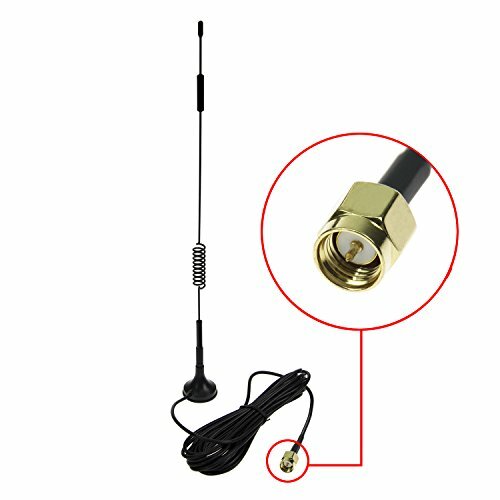 7DBi Magnet Antenna High Gain 4G LTE CPRS GSM 2.4G WCDMA 3G Antenna Wifi Signal Booster Amplifier Modem Directional Adapter Network Reception With SMA Male Connector for Mobile Hotspot Wireless LAN by HIGHFINE at AABX. MPN: WIFI-7DBI-DZAT. Hurry! Limited time offer. Offer valid only while supplies last. 7DBi High Gain 4G LTE CPRS GSM 2.4G WCDMA 3G Antenna With Magnetic Stand Base Electrical Specifications: Condition:100% Brand New and High Quality. We also sell many types of Omni-directional WiFi Antenna on amazon,welcome to visit us and if you have any question with products,email us if you have an issue!